The Phantom Digital Vaporizer is graceful and effective vaporizer. 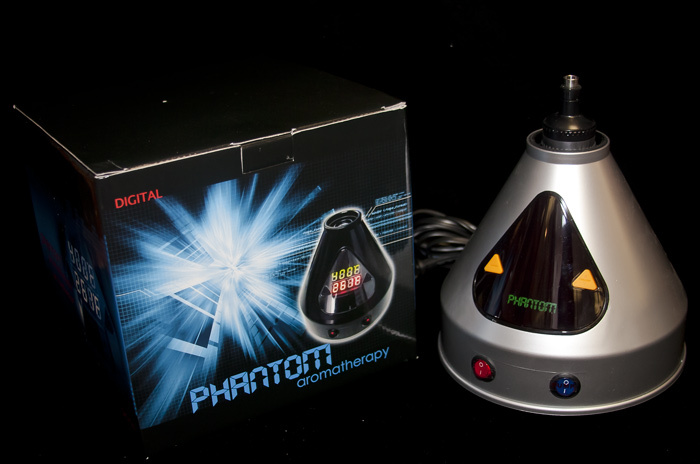 The Phantom Vaporizer offers the same balloon system delivery with a powerful fan as its expensive competition. It is extremely precise when it comes to temperature control. The LCD digital display will offer you the exact and set heat levels. The unit operates with balloon bags and the bags are filled with a powerful 50W air pump filtration system. 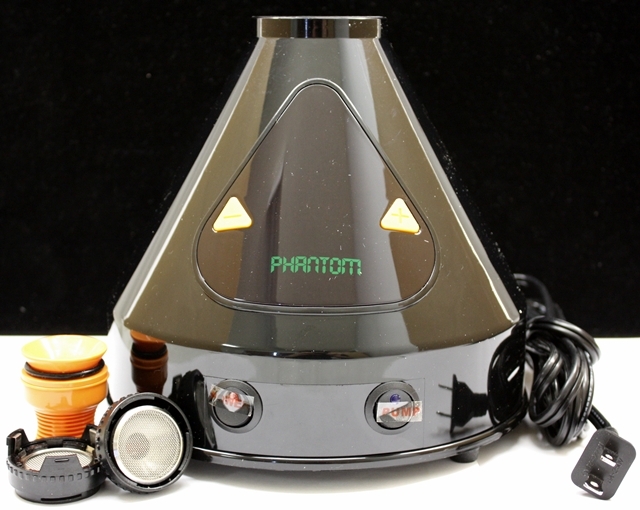 The Phantom vaporizer uses food grade components which is extremely safe to consume. The temperature on it ranges between 100 and 400 degrees Fahrenheit. Check also hookah and water pipe. The Phantom Digital Vaporizer differs from other similar vaporizer with an independent temperature fuse, extreme quite silencer, air filter aluminum heating block for comfort and strong diaphram pump which is built in to the air filtration system for efficiency. The outside diameter of the Fuji Phantom Vaporizer is about 7 inches which is not large for a tabletop vaporizer. The most important aspect of the product is the value it offers compared to its price. The Phantom Vape offers a durable plastic housing outside which is made of Acrylic and it is scratch resistant. The balloon system uses a plastic valve as an attachment on the top of the unit which interlocks on the heating element. The heater of the Phantom Vaporizer is made of stainless steel inside. The Phantom Vape mouthpiece is attached to the balloons after filling and it is made of acrylic and it is totally tasteless. The total heat chamber capacity of the unit is about 0.9 grams. It is recommended that fine ground material is used for maximum performance. The Fuji Phantom will provide prestine taste and quality vapor for an extremely affordable price. This is a great option for a cheap tabletop vaporizer. The unit comes with 1 year warranty.